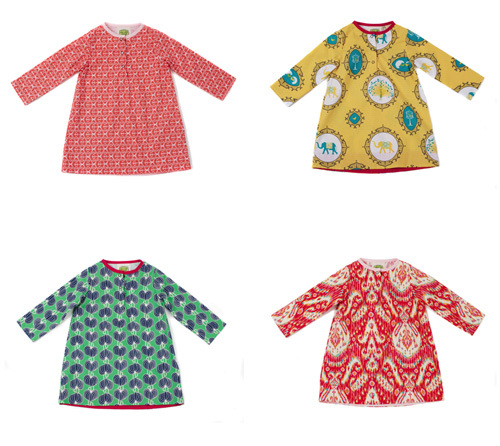 I love the bright colours and bold prints on the tunics at Emerald August. Such happy pieces little girls will love to wear! (Laura from Emerald August sent this tunic dress for Ivy and you should have seen the excitement in opening the package – pink, purple and butterflies!! It doesn’t get better than that!!!). Emerald August is an Atlanta-based company and each article of clothing is designed by Laura and made locally in the USA. You’ll find tunic tops, dresses and a collection of sweet graphic tees for the summer.